Wolverine? Stan Lee? 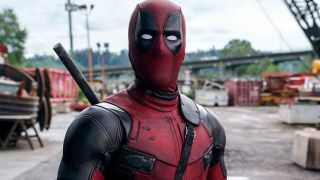 Deadpool 2 has a "secret cameo" – who might it be? Deadpool 2 is sure to bring some instantly iconic shock moments courtesy of the Merc with a Mouth and, yet, its biggest mystery might be the most eagerly-anticipated of all. The movie has recently undergone reshoots, including filming a top-secret cameo. Who is it? Is this the start of an MCU crossover? Let’s whip out our crystal balls and find out. THR has confirmed the existence of the secret cameo and who better to feature in a cameo – and beckon in the Deadpool-verse into the MCU – than cameo king himself, Stan Lee? The Grandaddy of all things Marvel may have suffered from serious health issues recently so it’s unlikely he’s travelled out to film a scene – but it would be a helluva coup. Excelsior! The Australian may have hung up his claws after Logan, but that doesn’t mean he can’t show his face in a superhero flick from time-to-time. He’s also got cameo experience after appearing in X-Men: First Class for all of ten seconds. Heck, he’s even ‘appeared’ in the first Deadpool as a mask worn by Wade Wilson. Hugh Jackman would be just the type of person to get on board with filming a secret cameo just to continue a silly joke. Continuing in the Hugh Jackman mould, I’d be shocked if Deadpool 2 doesn’t bring up Josh Brolin playing both Thanos in Avengers: Infinity War as well as the time-travelling Cable. In fact, they could even go the whole hog and put a none-too-subtle reference to Thanos in there, should Marvel let them. Heck, have Deadpool kill him off immediately in the silliest possible fashion. You know it makes (no) sense. Deadpool is the master of fourth-wall breaks and meta moments. But what if he had a rival? Gwenpool, Peter Parker’s on-again, off-again beau Gwen Stacy’s Deadpool-esque persona, would be a perfect fit. Now, picture this: halfway through the movie we get a glimpse of Gwenpool, who would be currently starring in her own big adventure that is never mentioned again. Think that bit with the other group in Shaun of the Dead, just with more katanas. Deadpool and Gwenpool would cross paths – and witty jabs – before going on their merry little way. This is the big one. Marvel and Fox haven’t quite signed on the dotted line when it comes to Marvel scooping up the rest of their remaining characters but, if a deal were to be very close (which it is) then an Avenger showing up for no good reason and Deadpool completely ignoring them would be a punchline worth pulling off.